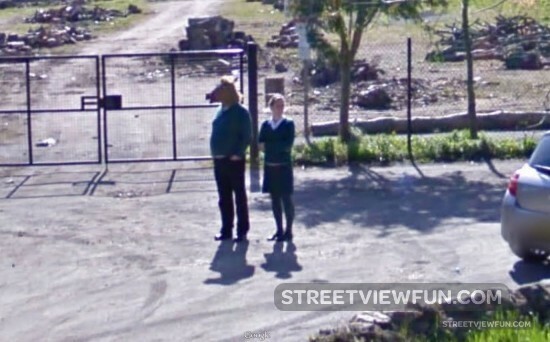 Thanks to Google’s new ‘time travel’ feature of Street View we now also have this image from the same location (^ Alex). 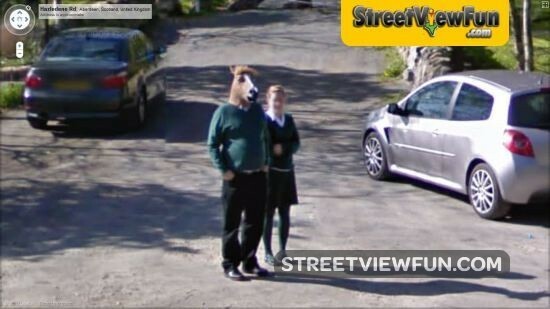 15 best Street View sightings of 2015 Horseboy waiting for Google Street View Canadian Horseboy Boo! And now he’s not alone. Maybe a girlfriend? my friend has a mask like that, it’s pretty rad. Haha, they got rid of a small bit of navigable road but you can still see the mask from a distance.